It's Friday and I couldn't be happier for the weekend! relaxing. Sounds so much better than Coachella, right?! ha. my Nana on sounds just perfect. This mama-to-be is spent! shoe convert. No joke they are like pillows under your feet. OBSESSED. I have a feeling these will be my first of many! I love this outfit! The vest really ties everything together! Such a cute dress for spring and summer. haha I'm with ya on that one. Have a great weekend! Love the sandals sooo chic! 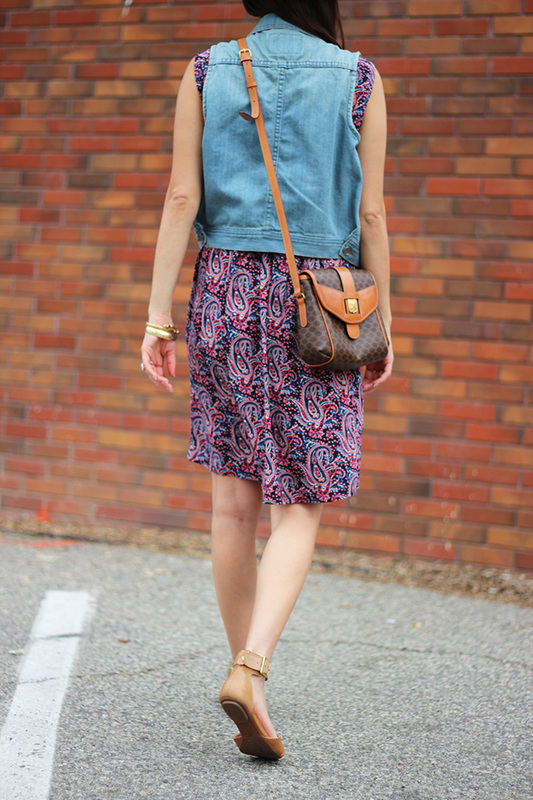 Love this dress and the sandals are too cute - Perfect weekend Spring look!